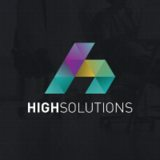 The holder of your data is HIGHSOLUTIONS SP. Z O.O.. Your data is processed for the purpose of the current recruitment process. You have rights to access your personal data, update, modify or remove it. Providing your personal data is voluntary, but necessary in the recruitment process.